Historian Gillian Borrack earned her title for Citizen of the Year for leading the process of achieving museum accreditation for Ziebell’s Farmhouse and Garden from Museums Australia Victoria in 2018. Ms Borrack’s dedication to the community goes back more than 40 years. Aside from the Ziebell project, Ms Borrack has been the backbone of the Friends of Westgarthtown Executive and she has developed several including the council’s Annual Cultural Heritage Program events Descendants’ Days and Germanfest. City of Whittlesea Mayor Lawrie Cox said 20 nominations were received for the Australia Day Awards. 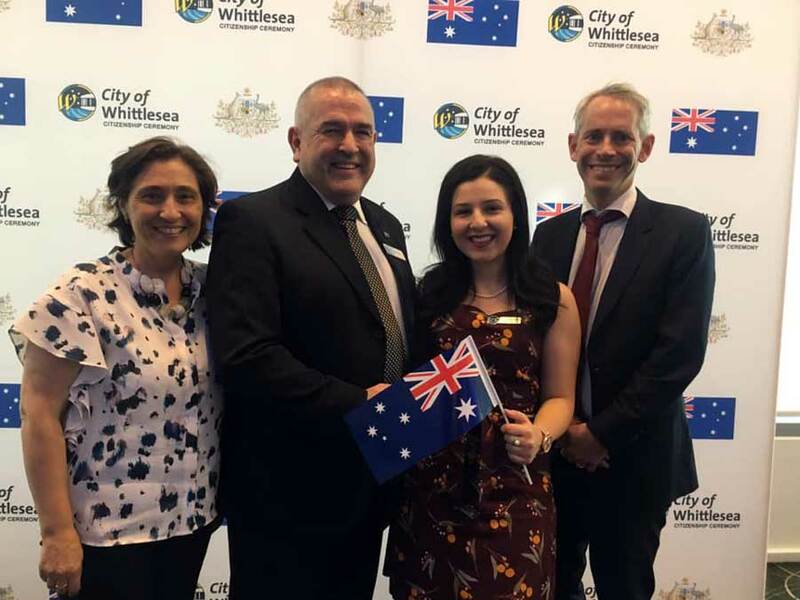 At the Whittlesea citizenship ceremony, Federal Member for Scullin Andrew Giles welcomed new Australians to the community while also acknowledging the change the date debate which has been an increasingly contentious issue in the media. “For some Australians, particularly many First Nations Australians, today is a difficult day. I think we are big enough as a nation to recognise this and to talk about it,” Mr Giles said.